PsychologySalon: PsychologySalon at VPL: Join Us! PsychologySalon at VPL: Join Us! The first of the spring series of PsychologySalon talks took place Monday night at the Central Branch of Vancouver Public Library. We had 195 people attend. 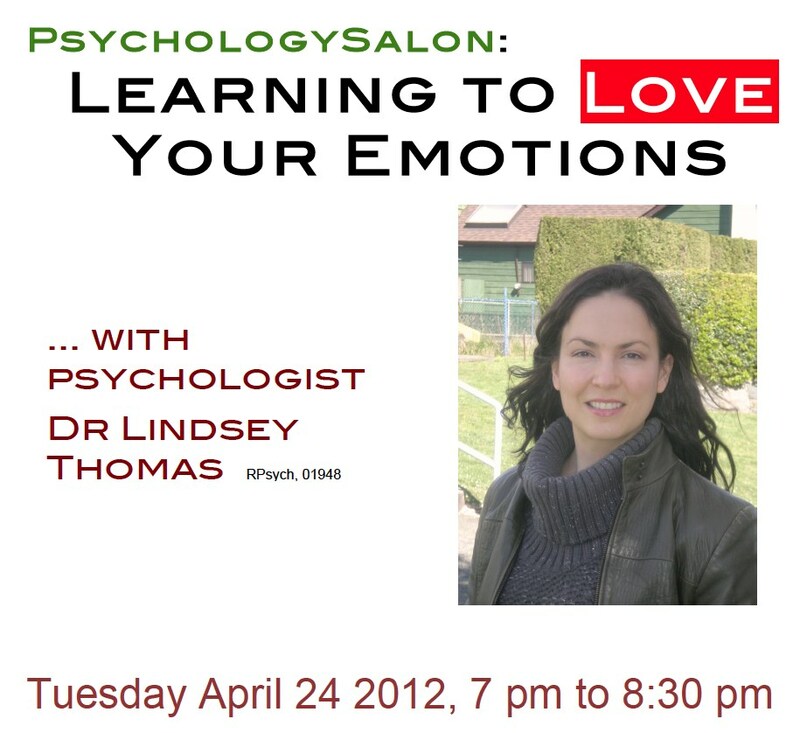 The next talk is Tuesday April 24 at 7 pm, and is entitled "Learning to Love our Emotions." 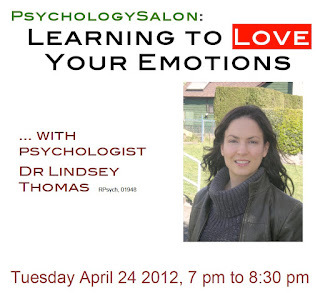 The speaker will be Dr Lindsey Thomas, a psychologist at Changeways Clinic. Feelings themselves cannot harm us, but instead provide valuable information that could help us regain control over our lives. However, in a society filled with increasing distractions, it seems we are developing an aversion to our emotions.